BT today said that councils could not publish postcode data revealing the locations of the BDUK roll-out as it was too “commercially sensitive”. Speaking at an event in central London this morning, Bill Murphy, managing director of next-generation access for the telecoms giant, said the full-speed and coverage template, detailing who would and would not be getting superfast broadband as part of the government scheme, would remain under lock and key, despite previous statements from BT to the contrary. In July 2013, Sean Williams, group director of strategy, policy and portfolio for BT, denied there was anything stopping the details from being published, but said it was “down to each local authority” to make the decision around if they wanted to share, not BT or BDUK. The Department for Culture, Media and Sport (DCMS) also backed the publication of the data, with culture minister Maria Miller writing to councils telling them to release the data as soon as possible. 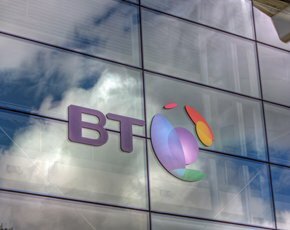 However, in a subsequent investigation by Computer Weekly, a large number of the councils involved claimed clauses in their contracts with BT prevented them from publishing the postcodes as it was deemed commercially sensitive – something BT has continued to deny until today. The BDUK project aims to bring superfast broadband to 95% of the population by 2017 using a mixture of public funding and investment from BT. For more on what Computer Weekly has discovered about where the roll-out is going to reach, click here. “As we said at the PAC committee hearing, we are happy if councils wish to publish their indicative coverage maps, even if they are heavily caveated at this stage. This was a request from the Secretary of State for Culture, Media and Sport, and one that we have been proactively supporting. Mr Murphy is flipping the bird and Central Government is passing the buck to Local Authorities. No leadership in evidence, big business interests being catered for at the expense of providing a decent, 21st Century connection for all - wasn't that the point in the first place? BT is still run with a civil servant mindset, what with their near total monopoly they can tell any Government Department what they want and get away with it. Central Government don't want to take them on because they know they will lose and if they deliver decent bandwidth across the country they will lose a lot of justification for expensive road and rail projects because we wont have to physically travel everywhere to do business we could do a lot of it through web conferencing. I am a shareholder in both BT and B4RN. I remain baffled as to why they are not co-operating to mutual benefit. BT's net profitability would rise and the risk of having to repay the state aid in the event of enforcement action would fall if they were to start co-operating with local voluntary and municipal enterprise in order to make their shareholders funds go further. According to some analysts BT's shares are currently trading at a 10% discount to the value of their communications network as a stand-alone operation: rather as those of Vodafone used to trade at a discount to the value of their shareholding in Verizon Wireless. The reasons are obvious. But for the pension obligations, they would be a break up target.